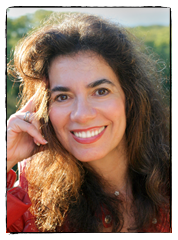 Tara Bennett-Goleman, M.A., is a teacher, author, and psychotherapist. She is the author of the New York Times best-seller Emotional Alchemy: How the Mind Can Heal the Heart (Harmony Books, 2001) and most recently Mind Whispering: A New Map to Freedom from Self-Defeating Emotional Habits (HarperOne, 2013) available May 2014 in paperback. The “Lotus Effect” in biology refers to the plant’s remarkable capacity to grow through the mud while remaining pristine. Micro-analysis reveals the lotus petals have tiny bumps, creating a non-stickquality that repels mud and other debris. In the same way, Mind Whispering creates a field of non-clinging in the mind and a lightness of being, allowing the lotus of wisdom to blossom through the mud of confusion. 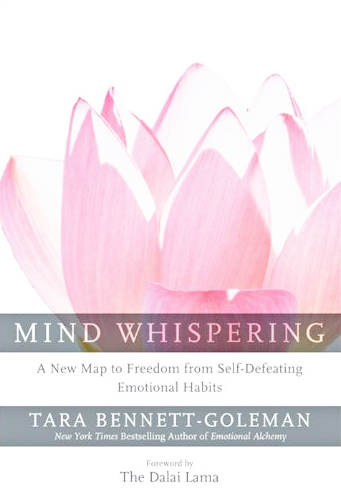 Mind Whispering navigates a new path to freedom from self-defeating emotional habits. This ground-breaking map of the emotional mind helps us transform our emotions, improve our relationships, and connect us to our inner wisdom. Tara Bennett-Goleman combines principles and practices from horse whispering with mindfulness and Buddhist psychology, the neuroscience of habit change, and cognitive therapy. This gentle path of awakening offers a new lens on repatterning our emotional habits and everyday ways of being. Peace starts with our own mind and radiates out to our relationships, communities, and our global family.